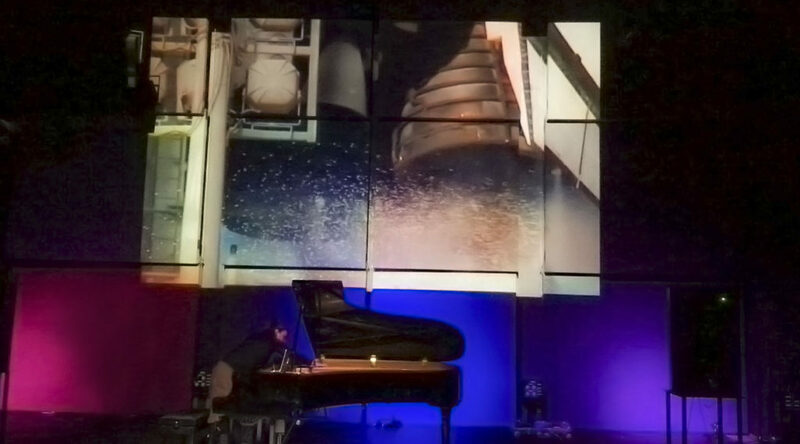 Composer Renee T. Coulombe’s “Sympathetic Resonance,” a concert-length live piano performance and intermedia display in four movements, premiered at the Sonorities Festival of Music, at the Sonic Arts Research Center in Queen’s University Belfast, Northern Ireland on November 26, 2016. Videos for the movements, “attack,” “sustain,” and “release” are by Vuslat D. Katsanis; videos for “decay” and all live visual programming is by Codrut Stancu; sound design is by Peter Terner. All artists are members of the collective, Improvised Alchemy.